Yay for a super long weekend, and yay for a holiday that is celebrated by eating chocolate! 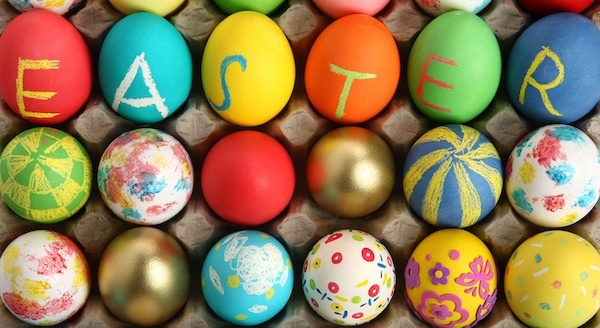 We're only closed two days of the year - and Good Friday is one of them, but we're open every other day of the Easter holidays, so make sure you come in and see us, enter the 'guess how many eggs' competition, and enjoy the long weekend. Bring the kids down to ours on Easter Saturday for a special morning of Easter themed crafts & activities (find out more here), followed by the wonderful Archie the Brave duo treating our ears to some laid-back acoustic pop from 4pm.